The word has been around since the 1700s. In this depiction of Aesop’s fable, The North Wind and the Sun, North Wind tries to strip a traveler of his cloak. Picture source: Wikimedia Commons. 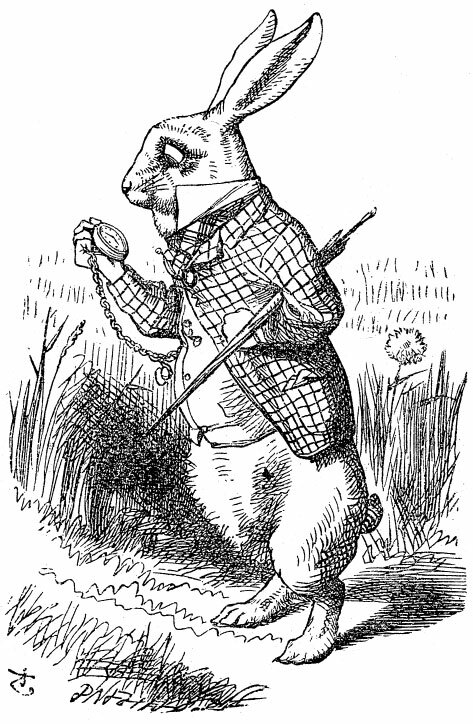 The White Rabbit in Alice in Wonderlfand is another example. Not being a literary writer, I don’t use the technique much, but I’ve often been accused of anthropomorphizing my dogs and other non-living things. Doesn’t every one name their vehicle or their vaccum cleaner? Well, you should! That’s why I understand completely when Chicken Wrangler Sara treats her chickens like they’re human, which is what happened when one of her hens named Butterscotch got herself into a bad situation. Here’s the story from Chicken Wrangler Sara’s email. Additional comments not italicized are mine. Our chicken feeder is suspended from the ceiling of the coop with a wire the size of a coat hanger. 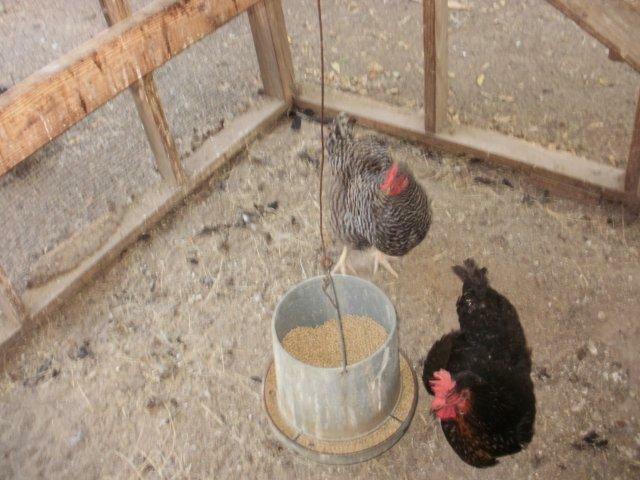 This morning, when I went to let the chickens out, one of them was hanging by one toe from the wire above the feeder. So the poor chicken, named Butterscotch, was incredibly calm. Now if I had been hanging upside down by my toe all night, I definitely would not be calm. This is just another difference between humans and chickens. 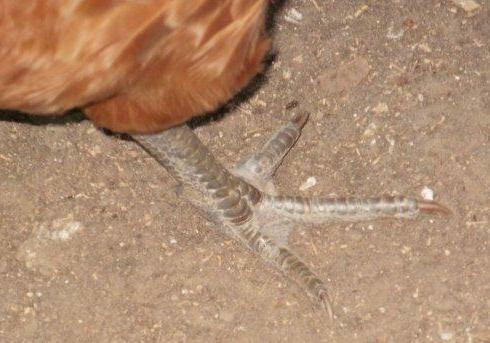 Anyway, I had to work hard to get her toe unstuck all the while explaining to her that chickens are not acrobats. I ended up untwisting the wire which immediately freed Butterscotch’s foot. I carefully carried her out of the coop and set her by the water thinking she might be thirsty as are most of the chickens in the mornings. So are the bees who share space at the Miller Farm with the chickens, making an interesting scene at the water cooler every morning. Butterscotch didn’t drink but hobbled to the front of the yard and sat down. I went on with the morning chicken chores, keeping an eye on her. When I had finished, I picked her up to examine the injured toe. It had begun to bleed and was getting caked with dirt. I’m no vet, but I am a mom and I know that open sores and dirt are not a good combination. Notice the toe at the top is missing its nail. but, thanks to human care, not the whole toe. So I carried Butterscotch up to the garage where we keep the betadine and poured some on her foot. 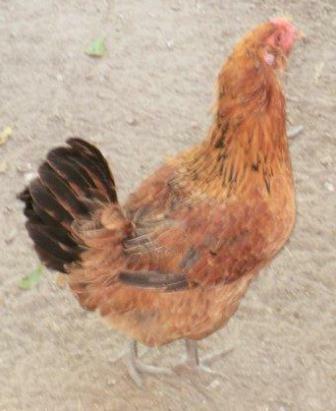 Then I gently washed it off with the hose and decided she needed to go to the chicken infirmary for observation. So I hollered for Catherine (her oldest daughter) to bring me a rag towel and laid it down in a laundry basket. Then I gently lowered Butterscotch into the basket and put a small waterer in with her. I went back in the house but soon realized that if she happened to get out of the basket, her toe would be the least of her problems. The dogs would love to “play” with her. Especially Bella. Remember she’s the farm daschund who is always watching and waiting for a chicken to get free. And trust me she’s not thinking about anthropomorphizing that chicken. Butterscotch rested comfortably all morning and after a consultation with the resident chicken vet, Rachel, Butterscotch returned to the chicken yard. She immediately started pecking at the ground for food then ran to where all the other chickens were pecking to see if they had found something more appetizing. At last sighting, she was limping slightly but seemed to be glad to be “home.” I made her promise not to do any more acrobatics, and Chicken Vet Rachel decided to wash her foot every morning to prevent infection. YOUR TURN: Are you guilty of anthropomorphizing either your pets or using the technique in your writing?